When working on web development, I prefer to work within the privacy of my own development environment located on my computer. I'd rather make the majority of my mistakes where no one else can see them rather than out in the wild of the Internet. In order to have that private development environment, I install a LAMP configuration. 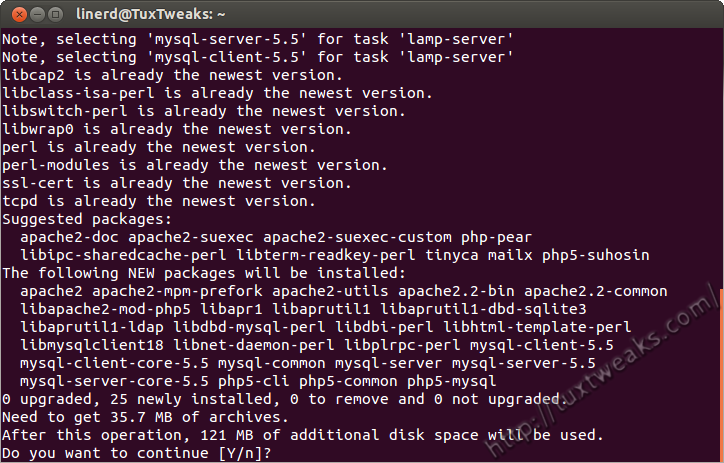 If you're not familiar with LAMP, it stands for Linux, Apache, MySQL, php (and/or Perl). LAMP is one of the most common web hosting platforms on the Internet, so it's a great environment to build and test your website. 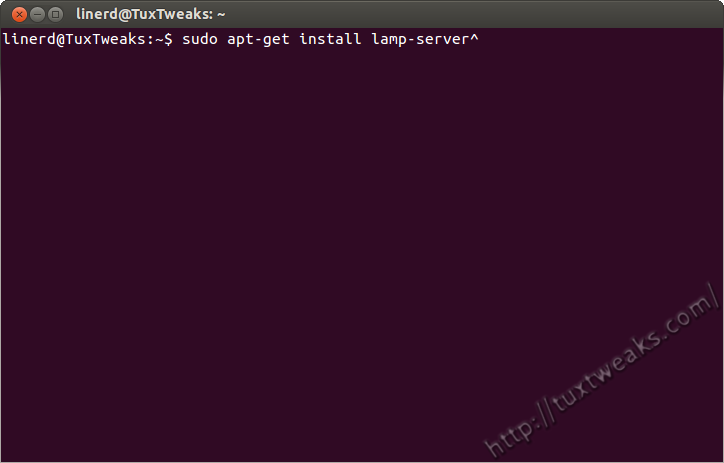 Follow these step by step instructions to install and configure LAMP on Ubuntu 12.04. If you have a reasonably fast broadband connection, you should be done in less than half an hour. 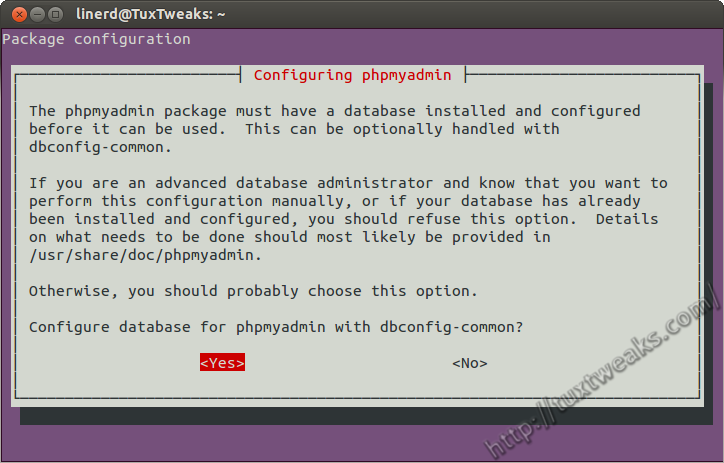 You'll next be prompted to select a web server to configure with phpMyAdmin. This is important! Use the arrow keys on your keyboard to highlight apache2 and then used the space bar to select it. Then hit <Enter> to continue. Make sure to click the picture below to see it in full size to see what I'm describing. LAMP [Linux,Apache,Mysql,PHP] is the most winning combination in today s growning internet to develop dynamic PHP applications. The linux part is replaced by any linux distro like Ubuntu 11.10, Fedora 15, Opensuse 12.1, Debian etc… Linux is the most fast and safest platform to develop PHP applications for todays web. 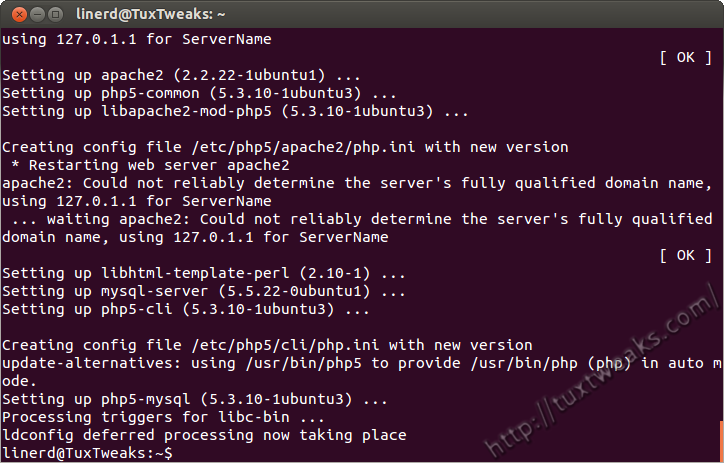 How to install an Apache2 webserver on an Ubuntu 11.10 with Mysql and PHP is the most popular question. The answer is very simple. With some command line commands or a search in Latest Ubuntu Software center everyone can install the LAMP stack in ubuntu 11.10. All the commands will be executed in the terminal. You can open a terminal using Ctrl+Alt+T shortcut. 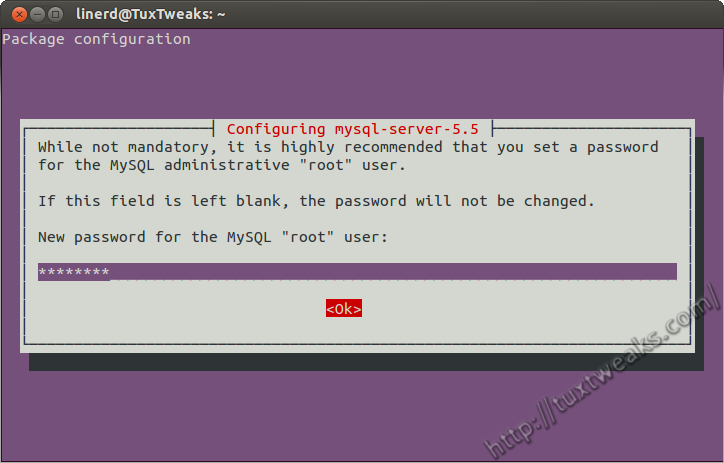 This will install the mysql server and mysql client on your ubuntu 11.10. After that it will as the password for the root user of mysql. You can set a password for that. 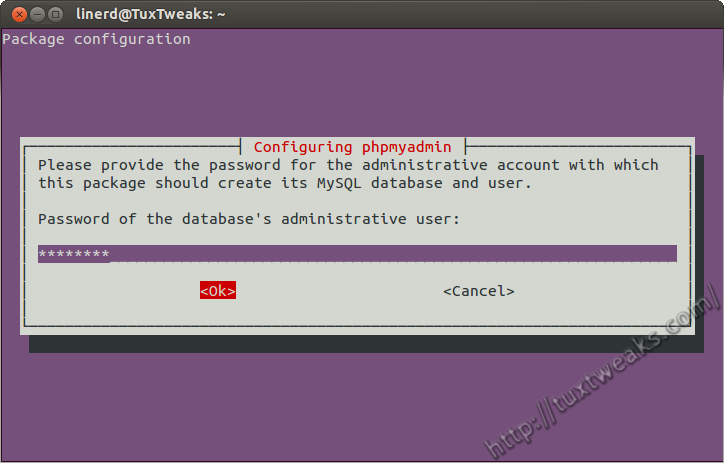 By using this password you can enter into a mysql command mode. 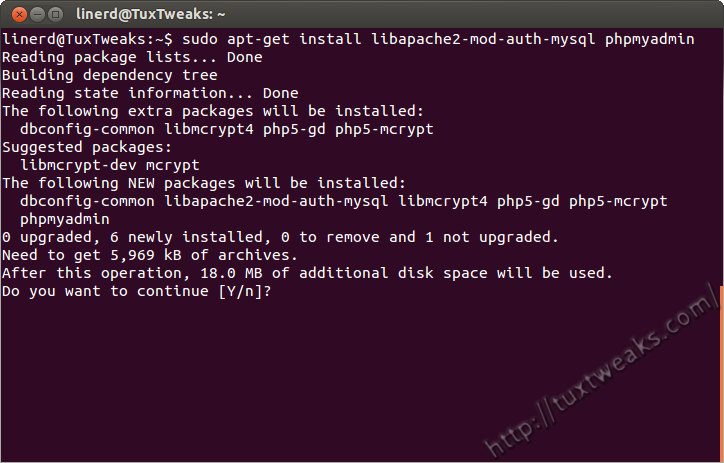 The next step is install Apache server in ubuntu 11.10. The apache server is used to execute PHP files in the server. By default the server will run on http://localhost and port 80. You can change the server names and ports in apache configuration file. 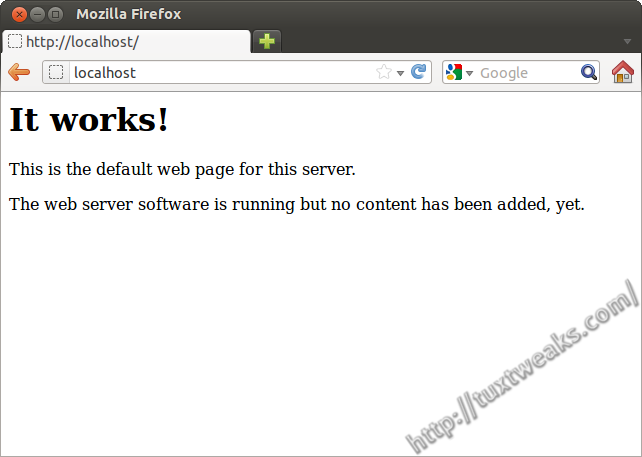 After installing the apache server Just open firefox and type http://localhost. This is the default apache welcome page. You can edit this file in /var/www/index.html file. The configuration file for apache server is at /etc/apache2/apache2.conf. Additional configurations are stored in subdirectories of the /etc/apache2 directory such as /etc/apache2/mods-enabled (for Apache modules), /etc/apache2/sites-enabled (for virtual hosts), and /etc/apache2/conf.d. The next step is to install php5 on ubuntu 11.10 and extensions for php5. We can install PHP5 and the Apache PHP5 module by using the following commands. Get the detailed information of PHP 5 from apache server. Just call the file in your web browser using the url : http://localhost/info.php. 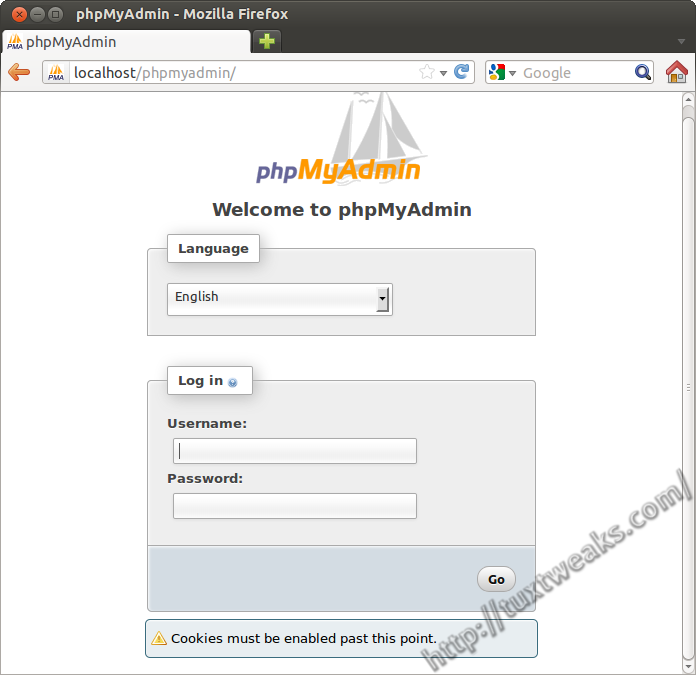 You will get the complete information of your current php installation. It’s a good idea to install some other PHP5 modules as well as you might need them for your applications. Now refresh http://localhost/info.php in your firefox browser and scroll down to the modules section again. 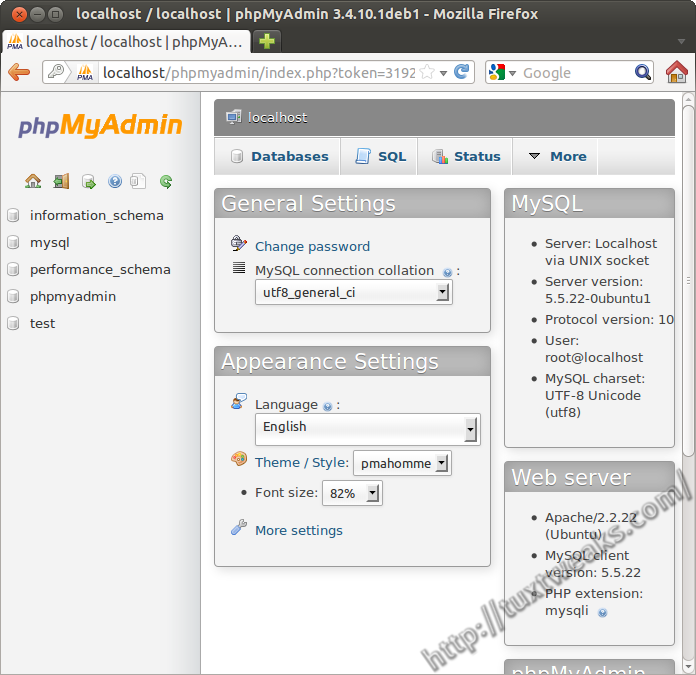 phpMyAdmin is a great programme to manage mysql database from your web browser. The latest version includes very nice interface and great utilities like inplace edit etc.. By using phpMyAdmin you can create database, edit tables, insert data, export mysql database etc..
Chive is also another great programme to manage mysql database from a web browser. This is project is developed using YII PHP frame work. You can download chive from their website. You can also use libreoffice base to access and edit mysql database. There is a mysql query builder and entity relation manger in libreoffice base. There are other IDEs like PHP Eclipse, Komodo Edit, Netbeans, gPhpedit, bluefish etc for editing and developing php applications. Also there are lot of php frameworks available for developing great applications in php like Codeigniter, Cake PHP, Fuel PHP, Kohana, Yii, Zend Framework, Symphony etc… You can try one. Not so far I have found new cool tool to work with mySQL on ubuntu - Valentina Studio. Its free edition can do things more than many commercial tools! !